I'm interested in understanding how the structure of molecules or materials affects their behavior. To understand this, I develop methods to model these materials properties more accurately, and apply them to materials that are interesting to me and important to the nation. I’m currently interested in quantum computing and in arriving at a better understanding of the materials-related issues involved. I’m currently working with a group of researchers at Sandia to answer some of these fundamental questions. We’re focusing on solid-state qubits in Silicon, using either electrostatically gated quantum dots, or implanted donor devices. We’re interested in understanding the requirements to make qubits using such devices, and, given such qubits, what their operations and errors will look like. We have recently developed the QCAD (quantum dot computer aided design) program, which is a finite element code built atop the Trilinos rapid application development library Albany. The code enables sophisticated 3D semiconductor quantum structures to be modeled to determine how structural changes in the devices lead to different quantum device properties. The code also uses the Dakota optimization library to determine optimal voltages to obtain few-electron dot behavior. 2003–2007, Senior Member of the Technical Staff, Sandia National Laboratories. 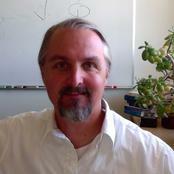 1997–2003, Director of Quantum Simulations, Materials and Process Simulations Center, California Institute of Technology. 1994–1997, Postdoctoral Research Associate, University of Southern California. Muller, Richard P., "Sympy: Symbolic Computing in Python," Journal Article, PeerJ Computer Science, Vol. 3, Article No. e103, Accepted/Published January 2017. Lu, Tzu-Ming, John King Gamble, Richard P. Muller, Erik Nielsen, Donald Thomas Bethke, Gregory A. Ten Eyck, Tammy Pluym, Joel R. Wendt, Jason James Dominguez, Michael Lilly, Malcolm S. Carroll, Michael Wanke, "Fabrication of quantum dots in undoped Si/Si0.8Ge0.2 heterostructures using a single metal-gate layer," Journal Article, Applied Physics Letters, Vol. 109, Article No. 093102, Accepted/Published August 2016. Meurer, Aaron, Ondrej Certik, Jason K. Moore, Francesco Bonazzi, Shivam Vats, Amit Kumar, Harsh Gupta, Isuru Fernando, Ashutosh Saboo, Sartaj Singh, Frederik Johansson, Thilina Rathnayaki, Fabian Pedregosa, Anthony Scopatz, Brian Granger, Richard P. Muller, Robert Cimrman, Matthew J. Curry, "Sympy: Symbolic computing in Python," Journal Article, PeerJ, Submitted December 2016. Muller, Richard P., Alan Aspuru-Guzik, Wim van Dam, Edward Farhi, Frank Gaitan, Travis Humble, Stephen Jordan, Andrew J Landahl, Peter Love, Robert Lucas, John Preskill, Krysta Svore, Nathan Wiebe, Carl Williams, "ASCR Report on Quantum Computing for Science," Report, ASCR Workshop on Quantum Computing for Science, February 2015. Muller, Richard P., Robin J Blume-Kohout, "The Promise of Quantum Simulation," Journal Article, ACS Nano, Vol. 9, p. 7738, Accepted/Published September 2015. Erol, Salim, Mark E Orazem, Richard P Muller, "Influence of Overcharge and Over-Discharge on the Impedance Response of LiCoO2/C Batteries," Journal Article, Journal of Power Sources, Vol. 270, pp. 92–100, Accepted/Published October 2014. Deng, Jie, Gregory J. Wagner, Richard P. Muller, "Phase field model of solid electrolyte interphase formation in Li-ion batteries.," Journal Article, Journal of the Electrochemical Society, Vol. 160, p. A487, Accepted/Published January 2013. Nguyen, Khoi Thi, Michael Lilly, Erik Nielsen, Nathaniel Bishop, Rajib Rahman, Ralph W. Young, Joel R. Wendt, Jason James Dominguez, Tammy Pluym, Jeffrey Stevens, Tzu-Ming Lu, Richard P. Muller, Malcolm S. Carroll, "Charge-sensed Pauli blockade in a MOS lateral double quantum dot.," Journal Article, Nano Letters, Vol. 13, p. 5785, Accepted/Published January 2013. Nielsen, Erik, Xujiao Gao, Irina Kalashnikova, Richard P. Muller, Andrew G. Salinger, Ralph W. Young, "QCAD Simulation and Optimization of Semiconductor Double Quantum Dots.," SAND Report, September 2013. Deng, Jie, Gregory J Wagner, Richard P Muller, "Phase field model of solid electrolyte interphase formation in Li-ion batteries," Conference Paper, 2012 Spring Material Research Society Meeting, March 2012. Gao, Xujiao, Erik Nielsen, Richard P Muller, Ralph W Young, Andrew G Salinger, Nathan C Bishop, Malcolm S Carroll, "The QCAD Framework for Quantum Device Modeling ," Journal Article, Proceedings of 15th International Workshop on Computational Electronics, Accepted/Published June 2012. Gao, Xujiao, Erik Nielsen, Richard P Muller, Ralph W Young, Andrew G Salinger, "Semiclassical Poisson and Self-Consistent Poisson-Schrodinger Solvers in QCAD," Presentation, BIRS Workshop - Quantum Technology: Computational Models for Quantum Device Design, January 2012. Muller, Richard P, Randall T Cygan, Jie Deng, Amalie L Frischknecht, John C Hewson, Harry K Moffat, Craig M Tenney, Peter A Schultz, Gregory J Wagner, " Modeling Thermal Abuse in Transportation Batteries ," SAND Report, October 2012. Muller, Richard P, Robert M Spotnitz, "Simulation of Abuse Behavior of Lithium--Ion Batteries ," Journal Article, Interface, Vol. 21, p. 57, Accepted/Published June 2012. Rahman, Rajib, Erik Nielsen, Richard P. Muller, Malcolm S. Carroll, "Voltage controlled exchange energies of a two electron silicon double quantum dot with and without charge defects in the dielectric," Journal Article, Physical Review B, Vol. 85, p. 125423, Accepted/Published March 2012. Muller, Richard P, Ann E Mattsson, Curtis L Janssen, "Calculation of chemical reaction energies using the AM05 density functional," Journal Article, Journal of Computational Chemistry, Vol. 31, p. 1860, Accepted/Published January 2010. Nielsen, Erik, Ralph W Young, Richard P Muller, Malcolm S Carroll, "Implications of Simultaneous Requirements for Low Noise Exchange Gates in Double Quantum Dots.," Journal Article, Physical Review B, Vol. 82, p. 75319, Accepted/Published August 2010. Rahman, Rajib, Richard P Muller, James E Levy, Malcolm S Carroll, Gerhard Klimeck, Andrew D Greentree, Lloyd C.L. Hollenberg, "Coherent electron transport by adiabatic passage in an imperfect donor chain.," Journal Article, Physical Review B, Vol. 82, p. 155315, Accepted/Published October 2010. Fulmer, Gregory R., Richard P. Muller, Richard A. Kemp, Karen I. Goldberg, "Hydrogenolysis of Palladium(II) Hydroxide and Methoxide Pincer Complexes," Journal Article, Journal of the American Chemical Society, Vol. 131, No. 4, pp. 1346–1347, Accepted/Published January 2009. Janssen, Curtis L, Ann E Mattsson, Richard P Muller, "Calculation of chemical reaction energies using the AM05 density functional ," Journal Article, Journal of Computational Chemistry , Submitted January 2009. Nordberg, Eric P, Greg A Ten Eyck, Harold L Stalford, Richard P Muller, Ralph W Young, Kevin Eng, Lisa A Tracy, Kenton D Childs, Joel R Wendt, Jeff Stevens, Michael P Lilly, Mark S Ericksson, Malcolm S Carroll, "Enhancement mode double top gated MOS nanostructures with tunable lateral geometry," Journal Article, Physical Review B, Vol. 80, p. 115331, Accepted/Published January 2009. Rahman, Rajib, Seung H Park, Jared H Cole, Andrew D Greentree, Richard P Muller, Gerhard Klimeck, Lloyd C. L. Hollenberg, "Atomistic simulations of adiabatic coherent electron transport in triple donor systems," Journal Article, Physical Review B, Vol. 80, p. 035302, Submitted January 2009. Feldmann, Michael T, Julian C. Cummings, David R. Kent, IV, Richard P. Muller, William A. Goddard, III, "Manager–Worker-Based Model for the Parallelization of Quantum Monte Carlo on Heterogeneous and Homogeneous Networks," Journal Article, Journal of Computational Chemistry, Vol. 29, No. 1, pp. 8–16, Accepted/Published October 2007. Kent, David R., IV, Richard P Muller, Amos G Anderson, William A Goddard, III, Michael T Feldmann, "Efficient Algorithm for "On-the-Fly" Error Analysis of Local or Distributed Serially Correlated Data," Journal Article, Journal of Computational Chemistry, Vol. IN PRESS, Accepted/Published December 2007. Keith, Jason M, Richard P Muller, Richard A Kemp, Karen I Goldberg, Jonas Oxgaard, William A Goddard, III, "Mechanism of Direct Molecular Oxygen Insertion in a Palladium (II) Hydride Bond," Journal Article, Inorganic Chemistry, Accepted/Published November 2006. Muller, Richard P, Michael P Desjarlais, "Exchange-only Optimized Effective Potential Calculation of Excited State Spectra for He and Be Atoms," SAND Report, March 2006. Muller, Richard P, Michael P Desjarlais, "Optimized Effective Potential from a Correlated Wave Function: OEP-GVB," Journal Article, Journal of Chemical Physics, Accepted/Published April 2006. Xu, Xin, Qingsong Zhang, Richard P. Muller, William A. Goddard III, "An extended hybrid density functional (X3LYP) with improved descriptions of nonbond interactions and thermodynamic properties of molecular systems," Journal Article, Journal of Chemical Physics, Vol 122, no. 14105, Accepted/Published January 2005. Deng, Wei-Qiao, Richard P. Muller, Willliam A. Goddard III, "Mechanism of the Stoddart-Heath Bistable Rotaxane Molecular Switch," Journal Article, Journal of the American Chemical Society, 126, 13562, Accepted/Published September 2004. Flood, Amar H., Robert J. A. Ramirez, Wei-Qiao Deng, Richard P. Muller, William A. Goddard III, J. Fraser Stoddart, "Meccano on the Nanoscale - A Blueprint for Making Some of the World's Tiniest Machines," Journal Article, Australian Journal of Chemistry, Accepted/Published March 2004. Kang, Jeung Ku, Jai Young Lee, Richard P. Muller, William A. Goddard III, "Hydrogen storage in LiAIH4: Predictions of the crystal structures and reaction mechanisms of intermediate phases from quantum mechanics," Journal Article, Journal of Chemical Physics, 121, 10623, Accepted/Published July 2004. Philipp, Dean M., Richard P. Muller, William A. Goddard III, Khalil A. Abboud, Michael J. Mullins, R. Vernon Snelgrove, Phillip S. Athey, "The synthesis of symmetrical bis-1,2,5-thiadiazole ligands," Journal Article, Tetrahedron Letters, 45, 5441, Accepted/Published May 2004. Yung, Yuk L., Mao-Chang Liang, Geoffrey A. Blake, Richard P. Muller, Charles E. Miller, "Evidence for O-atom exchange in the O(1D)+N2O reaction as the source of mass-independent isotopic fractionation in atmospheric N2O," Journal Article, Geophysical Research Letters, Vol 31, L19106, Accepted/Published October 2004. Jacob, Timo, Richard P. Muller, William A. Goddard III, "Chemisorption of Atomic Oxygen on Pt(111) from DFT Studies of Pt-Clusters," Journal Article, J. Phys. Chem B, Accepted/Published July 2003. Muller, Richard P., Dean M. Philipp, William A. Goddard III, "Quantum Mechanical-rapid Prototyping Applied to Methane Activation," Journal Article, Topics in Catalysis, Accepted/Published August 2003. Oxgaard, Jonas, Richard P. Muller, William A. Goddard III, Roy A. Periana, "Mechanism of Homogeneous Ir(III) Catalyzed Regioselective Arylation of Olefins," Journal Article, Journal of the American Chemical Society (JACS), Accepted/Published December 2003. Muller, Richard P., Xujiao Gao, Irina Kalashnikova, Erik Nielsen, Andrew G. Salinger, Ralph W. Young, Employee Recognition Award, Sandia Team Employee Recognition Award - Quantum Computer Aided Design Team, Sandia National Laboratories, For the development of CAD design and analysis software that accelerates the experimental development of quantum dot-based qubits and nanoelectronics., April 25, 2013.